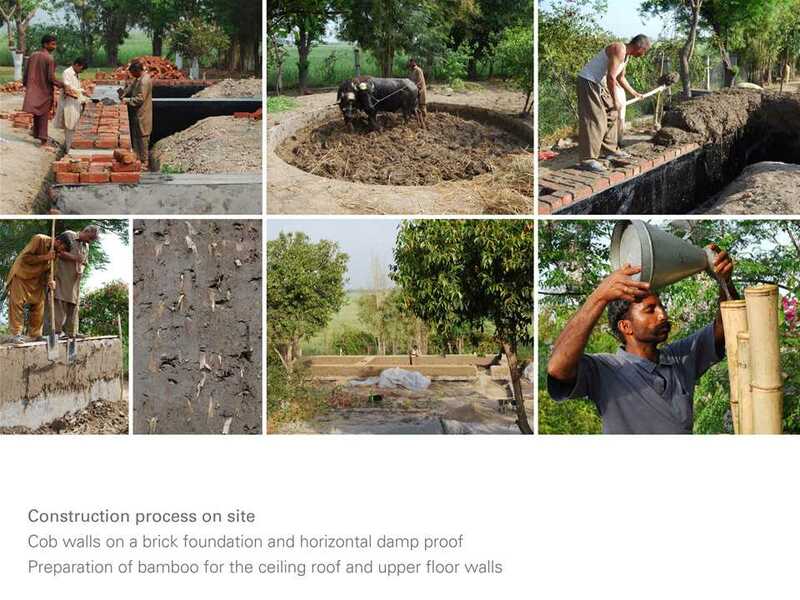 Project entry 2011 "Locally-manufactured cob and bamboo school building, Jar Maulwi": Location of the earthen school on the existing TSM campus. Project entry 2011 "Locally-manufactured cob and bamboo school building, Jar Maulwi": Ongoing construction works of cob walls: March 2011. Project entry 2011 "Locally-manufactured cob and bamboo school building, Jar Maulwi": Research on traditional local building culture. Project entry 2011 "Locally-manufactured cob and bamboo school building, Jar Maulwi": Adaptation to existing. 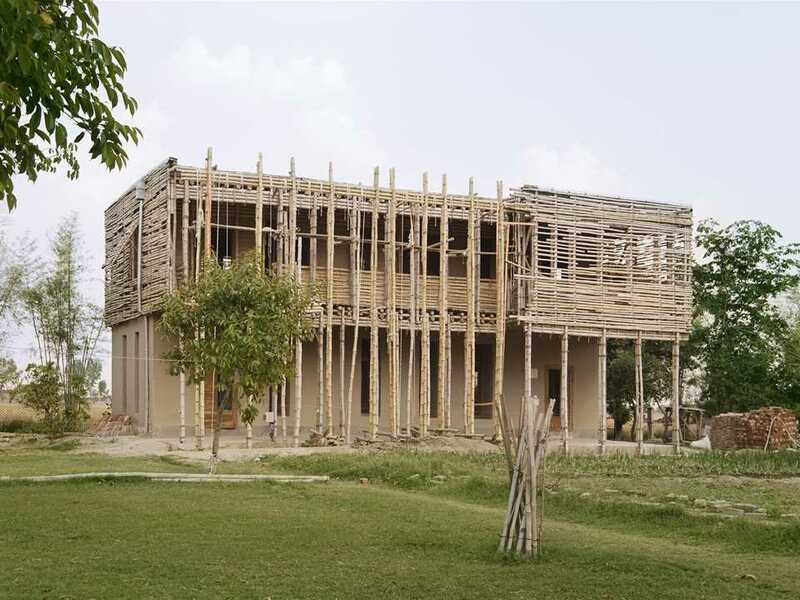 Project entry 2011 "Locally-manufactured cob and bamboo school building, Jar Maulwi": Heavy-light constructions. Project entry 2011 "Locally-manufactured cob and bamboo school building, Jar Maulwi": Earth and bamboo. Project entry 2011 "Locally-manufactured cob and bamboo school building, Jar Maulwi": Earth is conditioning climate. 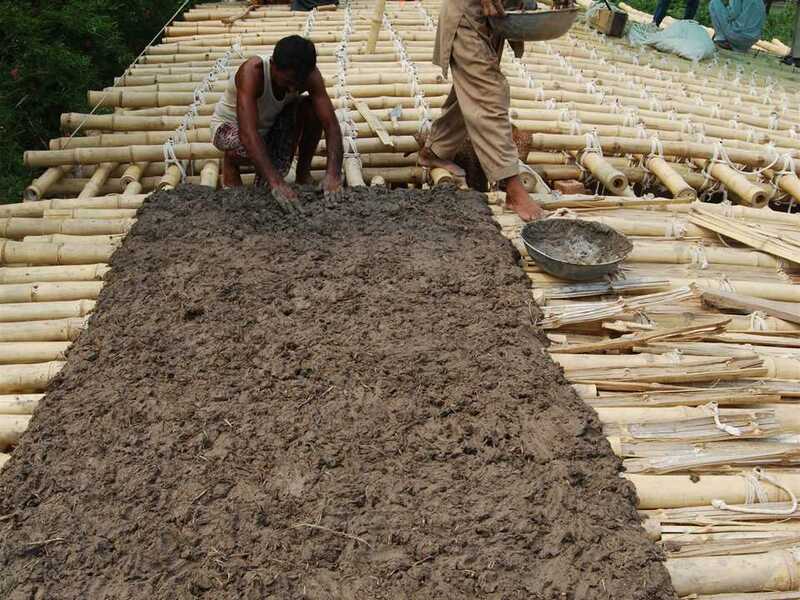 Project entry 2011 "Locally-manufactured cob and bamboo school building, Jar Maulwi": The ceiling was developed 1:1. Project entry 2011 "Locally-manufactured cob and bamboo school building, Jar Maulwi": Cob: a basic building technique. 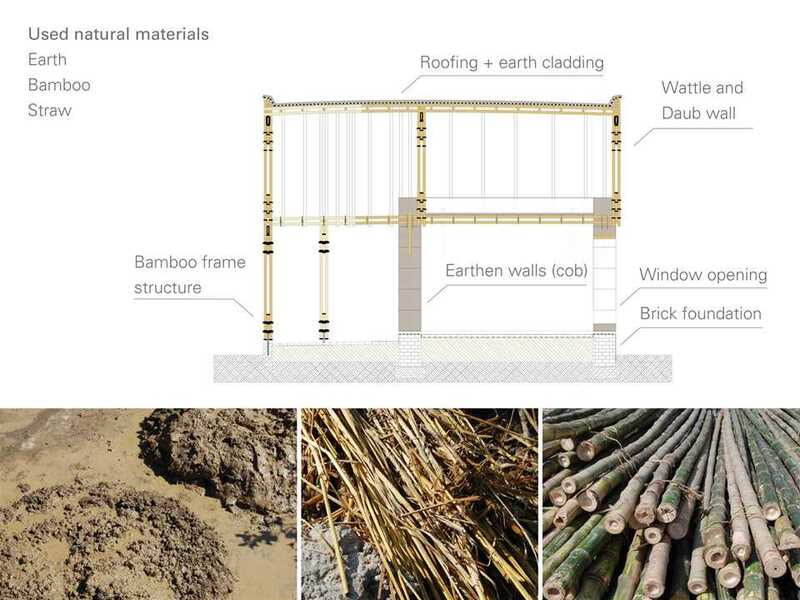 Project entry 2011 "Locally-manufactured cob and bamboo school building, Jar Maulwi": Detailed building descriptions. Project entry 2011 "Locally-manufactured cob and bamboo school building, Jar Maulwi": Team picture. 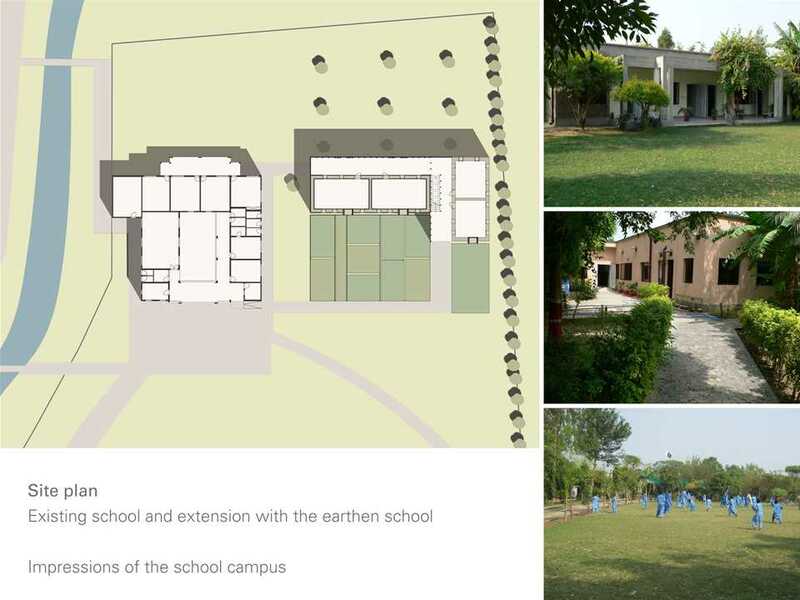 This school project in the small village of Jar Maulwi, 35km northwest of Lahore, is an extension of the existing Tipu Sultan Merkez School, which has provided education for underprivileged rural girls for more than ten years. The new two-story building will provide seven new classrooms. 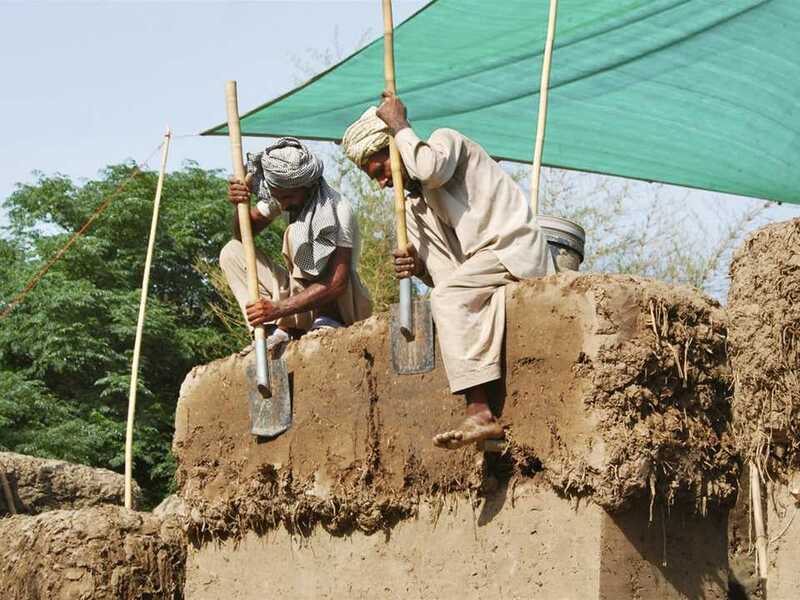 The building was completed in March 2013 and is made from locally-sourced cob and bamboo. The structure is divided into two compact parts connected by a light gallery to mitigate earthquake risk. 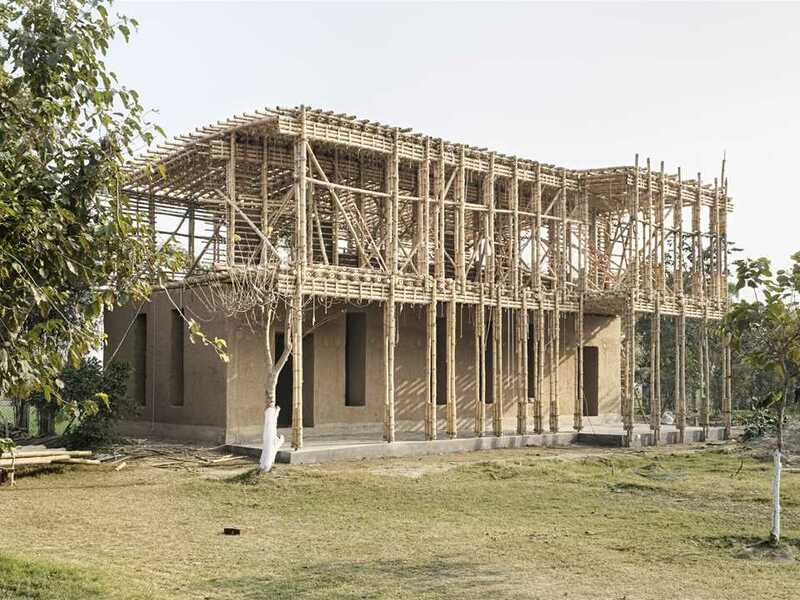 This earthquake-resistant school made out of earth and bamboo is now completed and will give rural Pakistani girls a chance for education.